Well, today didn’t start great. 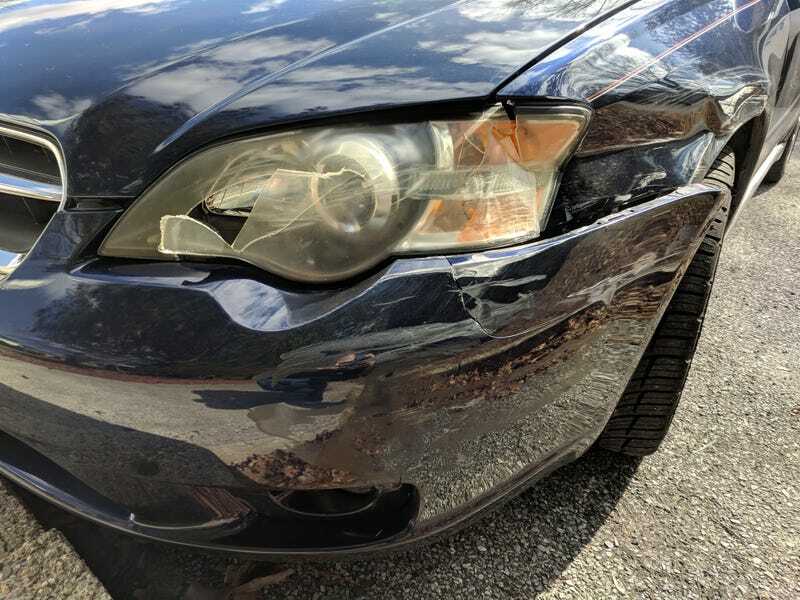 An elderly woman decided the left turn only lane wasn’t the one for her and came into my lane without looking/signaling, slammed into my Legacy, and pushed me into a curb. There’s only some Regal Blue Pearl scrapes down the side of her Santa Fe (besides the dings and scratches covering the rest of the vehicle). Let the claims process begin. Looks like the Z06 will have to resume DD duties for the time being.